NYT publishes propaganda piece by mass-murderer Marwan Barghouti, offers tepid Editors' Note following uproar. The New York Times offered a tepid response Monday evening to an uproar sparked by the publication of an opinion piece by an arch-terrorist responsible for multiple suicide bombings against Israelis, and the whitewashing of the terrorist’s criminal past. On Sunday, in the midst of the Passover festival, The New York Times published a propaganda piece by Fatah terrorist Marwan Barghouti justifying a hunger strike by jailed terrorists. In publishing the piece, the Times gave the convicted murderer Barghouti a free hand to spread canards against the Jewish state, justify terrorist activity targeting Israeli Jews, and delegitimize the very existence of Israel. Like many anti-Israel screeds, Barghouti’s NYT piece describes Israel as a “colonial” power, comparing the Jewish state to apartheid-ridden South Africa and accusing it of various human rights abuses. Amazingly, however, the Times initially published the piece with no reference to Barghouti’s crimes or his membership in a terrorist organization – a stunning omission given that the focus of the article is his imprisonment. Instead, the Times described Barghouti as “a Palestinian leader and parliamentarian”. Nowhere did the Times acknowledge Barghouti’s role as a senior member of the Fatah Tanzim terror group, nor his involvement in multiple shooting and suicide bombing attacks which left 26 people dead during the Second Intifada. 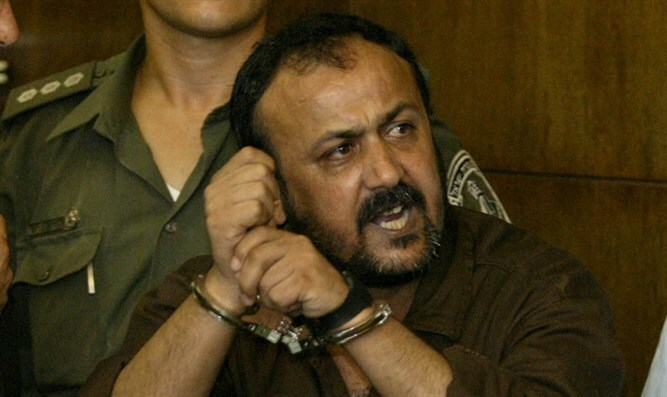 While Barghouti portrays his imprisonment as an “arbitrary arrest”, calling himself a “victim of Israel’s illegal” justice system, he in fact is serving five life sentences following a 2004 conviction including five counts of murder for terror attacks he directed in 2001 and 2002. The decision to publish Barghouti’s piece and the failure to reference his crimes drew heavy criticism from Israeli officials. "This is not a matter of freedom of speech,” said Deputy Foreign Minister Tzipi Hotovely. “It is anarchy. When a major newspaper with a reputation for responsible journalism becomes a platform for murderers, it provides legitimacy for terrorism. This is a very disappointing decision by the editors which seriously undermines the credibility of The New York Times." In response, the Times, rather than retract the piece, merely added an Editors’ Note on Monday, acknowledging that no mention had been made of Barghouti’s conviction.